According to Microsoft, Enterprise customers with the next major Windows 10 release is going to receive smaller and better cumulative monthly updates. For now, Microsoft is using a three-type update model for Windows 10 devices. This model consists of Full Updates, Latest Cumulative Updates, and Small Express updates. These “small express” updates are usually 100-200MB in size while large delta updates can be up to 500MB size. 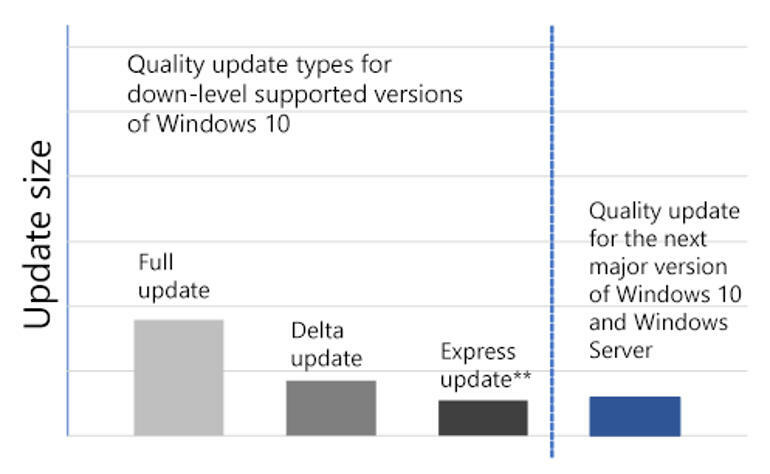 Delta and express updates are currently available for Windows 10 Enterprise versions 1607 and 1803 and have co-existed because Microsoft wanted to give more time for companies to implement support for their third-party express update protocol that initially required the use of a WSUS. 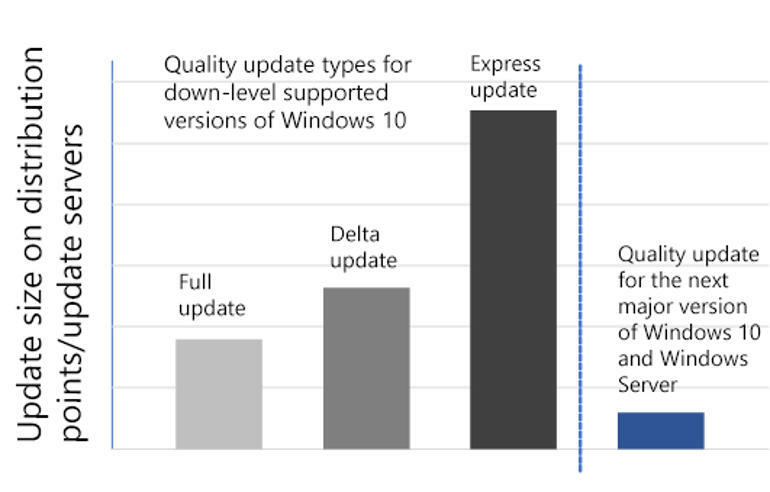 Anyhow, Microsoft has allowed “express updates” to third-party update services back in January 2017 and by February 12, 2019. delta updates will stop shipping. Today, Microsoft has announced the next phase of the improved update system for cumulative updates targeted for Windows 10 and Windows Server devices. All current Windows 10 and Windows Server versions will continue to receive express and the latest cumulative monthly updates while the new Windows 10 and Server versions will receive only one full quality update that will be similar to today’s express update. With smaller versions of full quality updates, organizations will save bandwidth with the use of WSUS or SCCM services, or even a third-party update management solution which supports express updates. Along with this, devices with the new Windows 10 release will be 40% more efficient based on the memory utilization during the update process. Devices with the new version of Windows 10 that are directly connected to Windows Update will also benefit from smaller update sizes.